Sonic Sports Association (SSA) was founded by elite Hong Kong Triathletes, registered coaches and sports enthusiasts in year 2003. 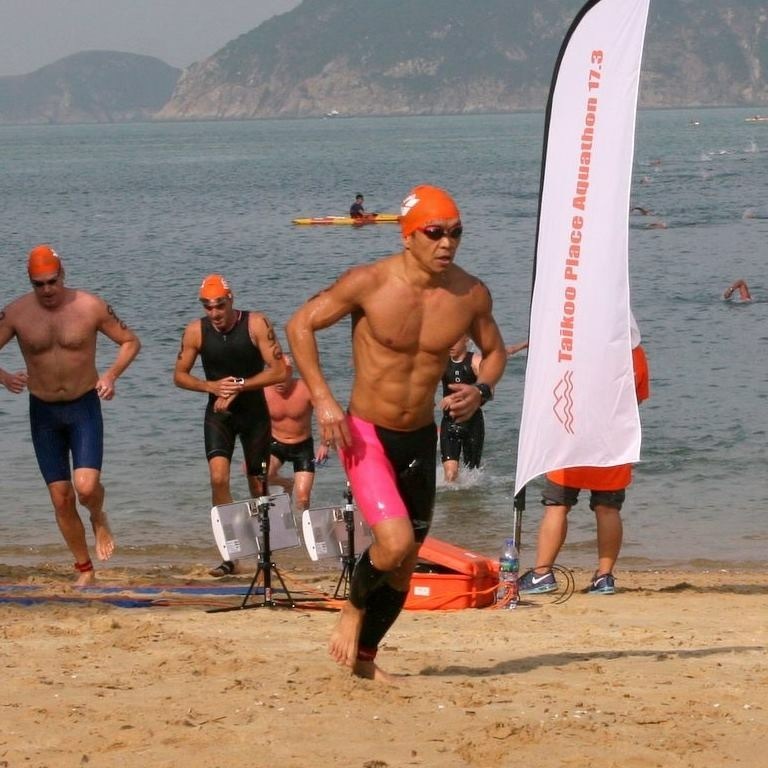 The association is a registered non-profit organization and an affiliate of the Hong Kong Triathlon Association. SSA aims to promote the sports of triathlon by providing training courses ranging from introductory to elite levels and by encouraging participation in both local and overseas triathlon events. The ultimate goal is to create a community where its members can improve their health, enhance their physical abilities, and build friendships while enjoying the sport of Triathlon. Charles is the fitness enthusiast who started his triathlon journey in 2004 by joining Team Sonic. Being a keen member since then to meet difference people. He steps up as Voluntary Club Secretary since 2008 to help on all administrative and marketing aspect to the team. Apart from his busy office life, he has been organising oversea training camp and race logistics to make sure everyone happy! Charles is a certified coach by IRONMAN and International Triathlon Union. He will inherit what he has learnt over the years and keep the club running. David aka David sir, has extensive experience in personal fitness training and coaching. He is a sports consultant in organising, developing the team and leading oversea cycling trip in New Zealand and Japan. Andy Lai started his sports business from 1995 as a distance runner. He finished his first triathlon race (OD) in 2000. He then started formal training with HKTriA age grouper training programme and pursued coaching qualification since 2002. He is now an enthusiastic athlete in triathlon and swimming. He current holds a number of pool swimming records in LCSD district age group swimming competition in freestyle, butterfly, backstroke and individual medley. He has been devoting a lot of his effort to study swimming and running skills for advanced athlete training. Gigi joint Sonic in 2004 for accompany her boyfriend (now husband) then got hooked into this sports, she has been actively training and racing in the region and transformed from a very beginner triathlete to a very well committed IRONMAN and multiple 70.3 podium finishers after all these years. She is a keen Ultra-trail finisher e.g. TNF100 and Gobi dessert. Holding a Bronze Medallion at Life Saving and work behind the scene to organise activities for Sonic. Professionally she specialised in Design management at Property and Hotel development. Brian is one of our founding member of Sonic, his experience in triathlon racing way back to 1999! Brian is an IRONMAN Certified Coach and holding HK life-saving pool lifeguard cerfification . Kenneth Yip is the founder of Team Sonic. He has an extensive background in coaching swimmers and triathletes of all age and abilities. 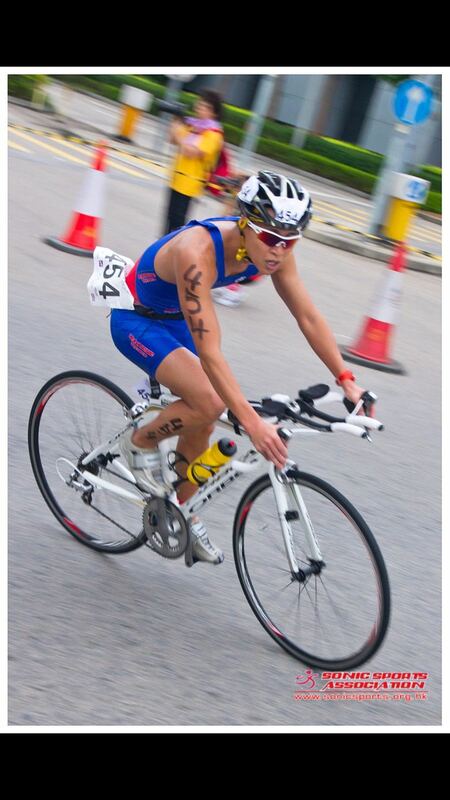 Kenneth raced as a professional triathlete and had been invited to join Hong Kong Triathlon National Squad and received scholarship offered by The Hong Kong Sports Institute from 1998 - 2003 and representing Hong Kong racing overseas and had been participant in oversea training camp in New Zealand, Malaysia, France, German, Australia, Spain and Japan. Meanwhile our junior division will be organized by Frankie and Loretta.